The biggest obstruction to productivity is distractions. Online disturbance is hard to avoid, with media outlets pumping out both intriguing and irrelevant content by the minute, marketing content coming straight into your inbox and Facebook being all too tempting no matter what time of day. We’ve discovered four new apps you need in your life in order to alleviate those distractions on your terms. How often do you find yourself scrolling through the bottomless pit that is the News Feed? Whether it’s the latest trending video or your friend’s sixth gym post this week, more often than not it’s far too easy to lose hours mindlessly drifting through bland content. Queue the Newsfeed Eradicator. This app removes the standard content on your News Feed and replaces it inspirational quotes. While a few of these are motivating to begin with, there’s only so many one can handle, meaning you’ll be back on task in no time. Implementing self control is something that is a lot easier said than done. There’s now an app that does the hard work for you. With a mission to make it as simple as possible for you to find peace and quiet, in order to get work done. The Freedom App prevents distractions on your phone, tablet or computer. Their software enables you to schedule block out periods for websites and emails, so that you won’t be tempted to interrupt your productivity flow. All too often we find ourselves reading online articles, even if we don’t have time to, for fear we will lose them into the black hole that is the internet. Alternatively we will have around 14 tabs open with things to read, when the time is better. Enter Pocket, an app designed to save all those interesting articles and videos, for you to go back and enjoy when you’ve got more time on your hands. Pocket works with your phone, tablet and computer to sync all saved links, and make them accessible when it’s more convenient for you. A bonus is that through Pocket you have the option to view these links offline, a great app option for frequent flyers. The amount of time we’ve wasted over the years, while spent trying to decipher log in details, for a website that was last used approximately three years ago, is something we dare not think about. With Lastpass there’s no need to continue trying to figure out those pesky credentials. Lastpass is a password manager app that helps you file all your various log ins, meaning you only need to remember the one you use to access the app. Gone are the days of having to undergo the tedious task of resetting a password. It doesn’t matter what apps you use, as long as you are managing your distractions, staying on task and mindful of when your productivity starts to slow down. If we’ve missed any of your favorite productivity apps let us know in the comments! 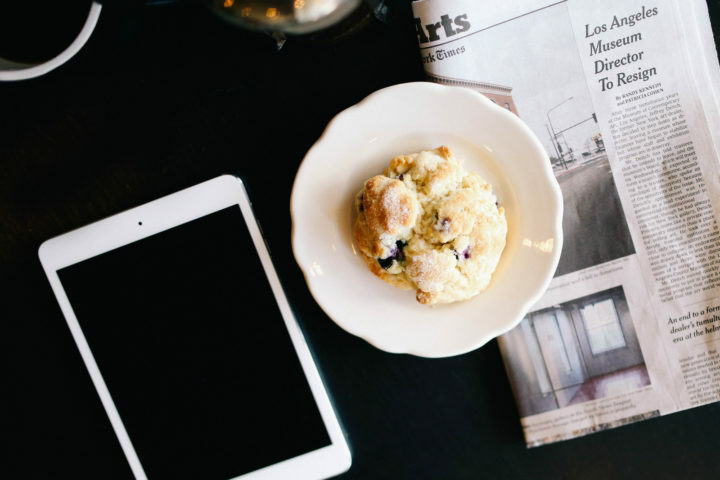 The post Top 4 productivity apps to manage your distractions appeared first on Xero Blog. Continuing on our ‘Deputy 7’ improvements from last year, we have just launched massive improvements to scheduling, with new views, features and performance enhancements. We haven’t taken anything away, just added a whole load of wins. There are so many wins in this new release, it will make your head spin! 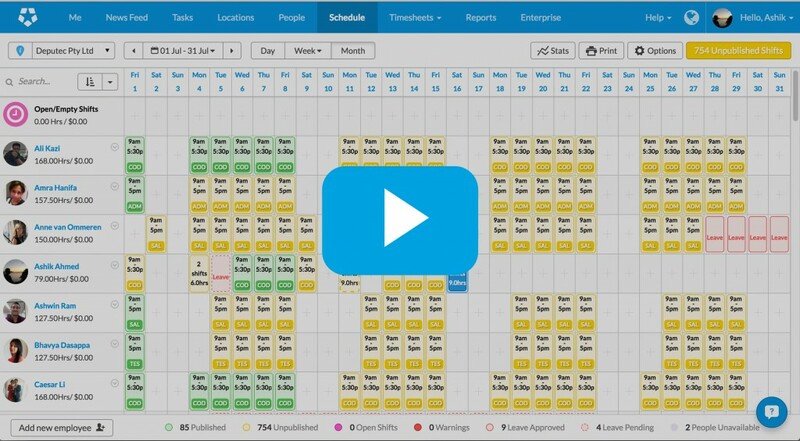 You can now see a monthly view of your schedule – and create and publish a schedule for an entire month. 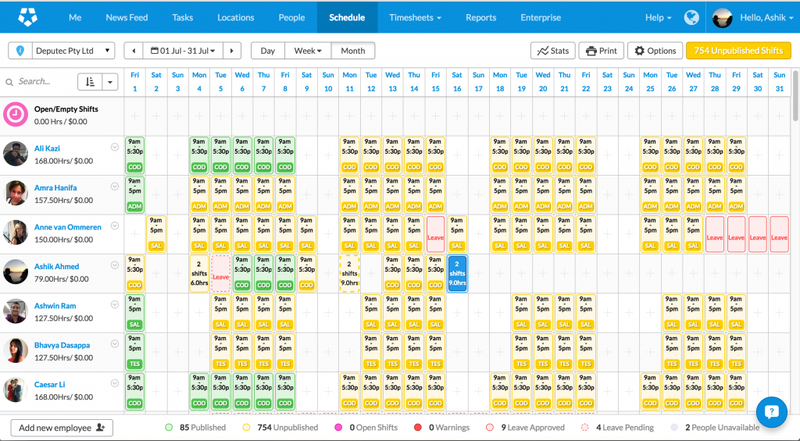 You can also view your monthly or weekly schedule by employee (as well as the existing area view). Employees are still shown in a column on the left hand side, and all their shifts are laid out in a single row. You can now sort the employee list in many different ways – alphabetically, by hours scheduled, by schedule cost, or base cost, stress, age, role, qualifications and tenure. These changes make it easier for all sorts of businesses to schedule based on their specific and unique requirements. 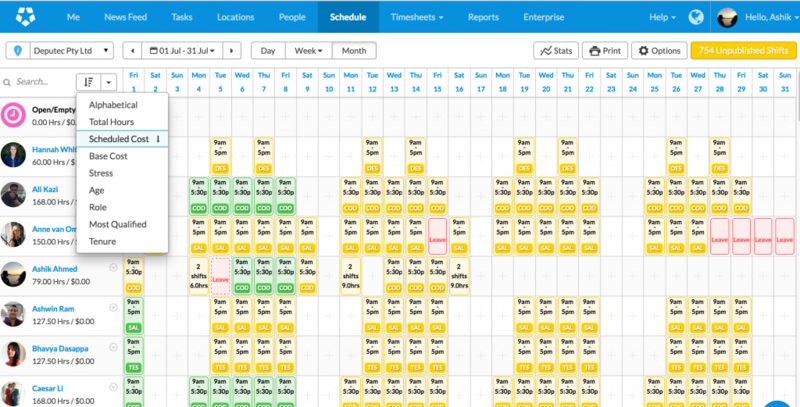 And we have improved the way shifts are added, moved and copied, making scheduling even quicker. Now, when you add a shift for an employee, Deputy’s ‘predict match’ will pre-fill the start and end time, location, area and breaks, based on that employee’s previous shifts. You can add and view multiple shifts on the same day, copy and paste shifts, including multiple shifts and open shifts, drag and drop shifts, including multiple shifts and open shifts. Use the keyboard shortcuts d, w and m to switch between Daily, Weekly (by employee or area), and Monthly view. No need to press ‘shift’ or ‘command’. Use the keyboard shortcuts c and v to copy and paste shifts. Again – NO need to hold down ‘shift’ or ‘command’. The new employee view also allows you to view leave and unavailability, and to approve/decline leave requests directly from the schedule. The ‘options’ and ‘publish’ buttons will only operate on the shifts you are viewing. You can perform bulk updates (under ‘Options’) on the shifts in your current view, which comes in very handy. You can find out more in our help article here, watch the video below, or better yet, just start scheduling! The post Deputy Scheduling just got Quicker, Easier… and Monthly appeared first on Deputy. We have a number of exciting items on our roadmap to improve the Practice Manager experience, and the first of these is to make Invoicing a more #beautiful experience. As part of this first wave of Invoicing updates, we wanted to address some of the pain points based on user feedback, that we could deliver quickly. In this stage we have focused on the Invoicing page flow and clarity. And although these are all small updates to start with, we believe they will add up to a better experience for our users. A small but significant improvement has been made on the Job and Client screens – when a new invoice or other financial document (from the Job’s Financial Tab) is created, the user will be directed back to the Job or Client in question. 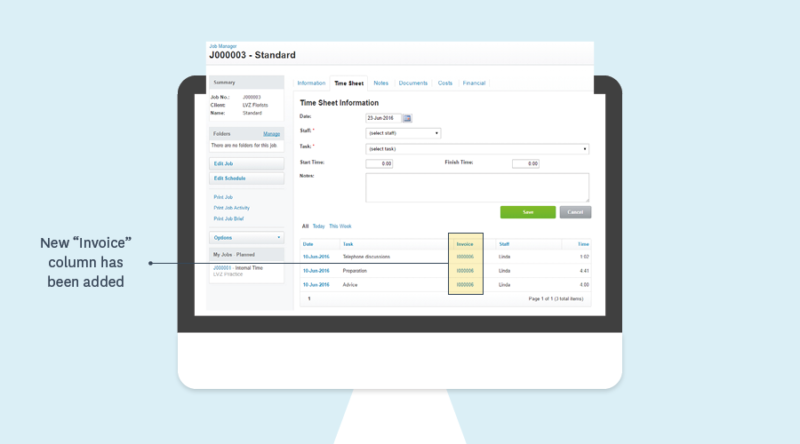 On the Job’s Costs and Timesheets Tabs, you can now see at a glance which items have been invoiced (Actuals only), and jump to the Invoice immediately. Some areas of Practice Manager had inconsistent wording that we’ve updated. Text that used to be called “Invoice” has been renamed “Final Invoice” to make it clearer what this refers to. We’ve also renamed the “Items” setting under Business > Settings and the “Items” heading to “Costs” to keep consistency with the rest of the application. In Report Builder, we’ve added the ability to display and filter by the invoices’ billing type – Actuals, Quoted or Misc. 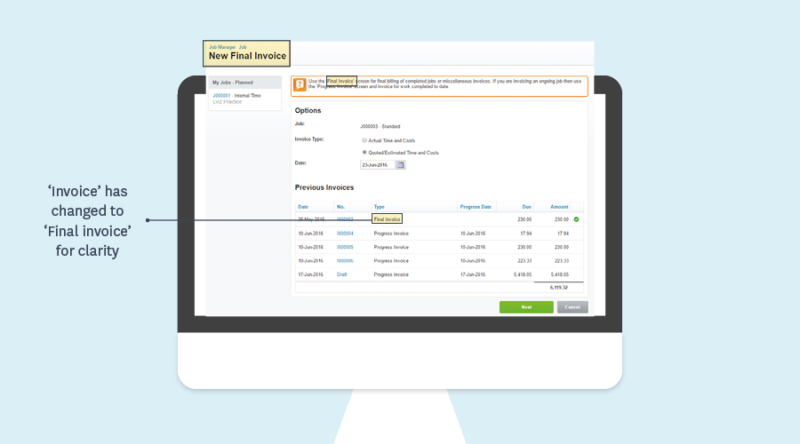 Currently in Practice Manager, invoices can be created as quoted or actual time and costs, but there isn’t an easy way to differentiate between the different billing types. In the next release we will include a visible indication of this on the invoice tables to make managing invoicing discrepancies easier. Finally as a small tweak, we’ve updated the invoice tables in the Invoice Manager and the Client Page to display the newest invoices first instead of last, so you will no longer need to jump to the last page to see that invoice you just created. Following on from this release, in the next stage we plan to improve the UI experience around invoice integration with Xero, and we are working carefully to prioritise the updates based on your feedback. The above is the first of many planned updates this year. We look forward to hearing your thoughts – just share your comments below! The post Creating a better invoicing experience: Part 1 appeared first on Xero Blog. With so much talk about moving to the cloud, we all know we need to shift the way we work. But sometimes we just don’t know how to take the first step. Getting started on your cloud journey requires adjustment to existing routines and a transition in the way you think about your operations. But rest assured, the ongoing advantages of being cloud-based will far outway the small hurdles in getting there. Anyone can use the cloud to their best advantage, provided that they are willing to learn and adapt. Launching her firm in the cloud nearly five years ago, Amanda Aguillard, CPA, principal at Aguillard Accounting, now services more than 50 clients. By going all-in on cloud you’re able to better collaborate with your team, your clients and grow both your business and theirs. Apps like Google Apps For Work which automatically updates and changes in real-time means that everyone has access to the same version of a document, not just what’s currently available on the hard drive. The same goes for Xero. By working on a single ledger, a small business owner and their accountant can access accurate and up-to-date financial data to make more informed decisions. This eliminates the need for constantly backing up files to a hard drive. As the documents are always saved in the cloud, it’s more often safer than lugging around a hard drive. The chances of your hard drive being stolen, destroyed or lost are a lot higher than the internet going down for good. There are already thousands of apps that are designed to assist a cloud-based business. Most are low cost, helpful and enable you to run your business from your phone. 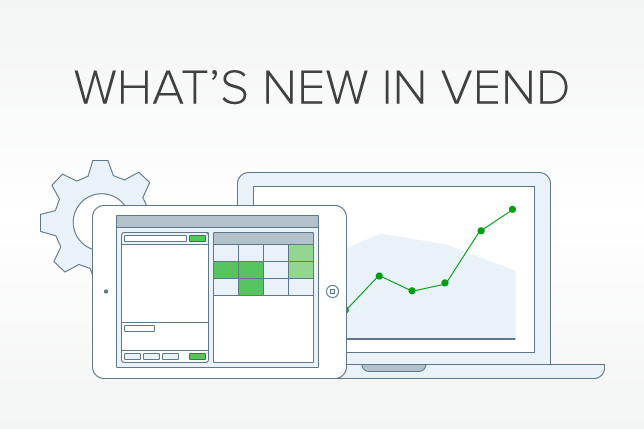 These apps are incredibly flexible, helping you scale up or down to meet your demands. Using cloud-based systems also promotes agility and innovation. The traditional pace of workflow is sped up due to the instant, up-to-date nature of cloud systems. Innovation is driven as a result of this, as employees are encouraged to work together to find the best way forward. If moving your business to the cloud is an idea you’ve been tossing around but haven’t followed through on, come along to Xerocon SF on 15-17 August, the world’s most beautiful cloud accounting conference. Amanda Aguillard will be hosting a Product Mastery session covering cloud set-up strategies where she will discuss best practices to set up your firm and clients in Xero at the upcoming Xerocon SF 2016 conference August 15-17. The post One thing you need to do to get cloud ready appeared first on Xero Blog. Omnichannel means building trust among your customers by maintaining a consistent user experience across multiple channels. As consumers seek a more seamless shopping experience, an onmichannel approach is becoming more necessary for small business. For example, if you’re an e-retailer and you’re not on Amazon, you may be missing out on a huge opportunity. Today on Xero Gravity we welcome Kevin McKeand, who heads up strategic business development and partnerships at BigCommerce. Kevin stops in to explain what an omnichannel strategy is, how to execute one, and what benefits small businesses can expect. “Over 40% of all online shoppers are searching for products on Amazon first. Not having a presence there means that you’re simply not reaching a potentially larger customer base. 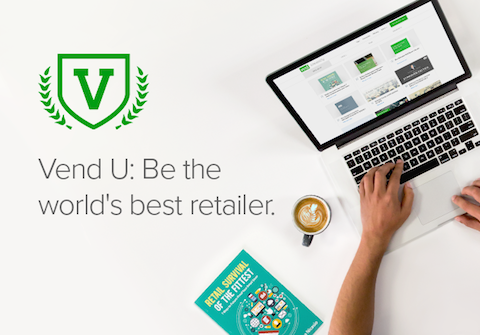 Or you’re losing customers who may be looking on the marketplace and not finding you instead of a similar product.” says Kevin. If you’re a small business looking to increase sales, it’s critical to understand where your customers are searching for your products. Then, you can occupy the marketplaces that make the most sense for you and your business. Tune in as we dig deeper into this new, exciting, and even revolutionary approach to sales. If you enjoyed this week’s episode, join us again next week when we sit down with Brett King, founder of Moven and augmented reality superstar. Don’t miss out as Brett chats with us about the present and future of augmented reality and the endless possibilities for your business . Be sure to check out all of our previous episodes for more small business tips, resources and insights. The post Xero Gravity: Why an omnichannel strategy will boost sales appeared first on Xero Blog. Don’t drink and reconcile. But if you do, call me. Have you managed to get yourself into a sticky situation? Got questions about your tax return? Not sure if you’ll be able to expense claim those Taco Tuesdays? 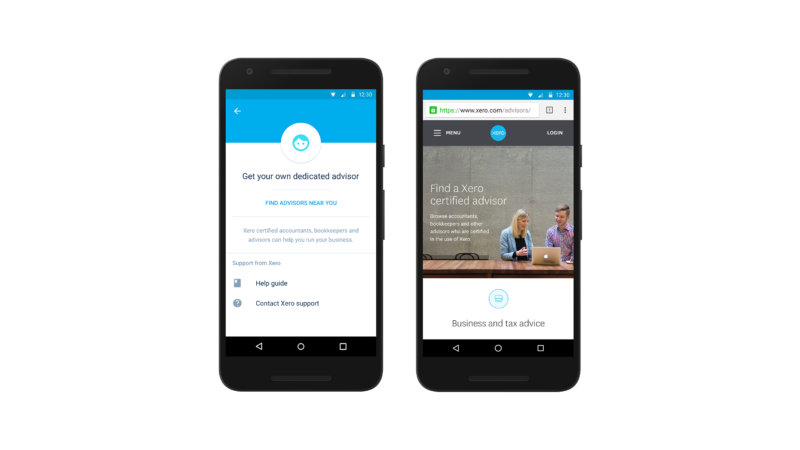 You can now get in touch with your Xero certified advisor while on-the-go. 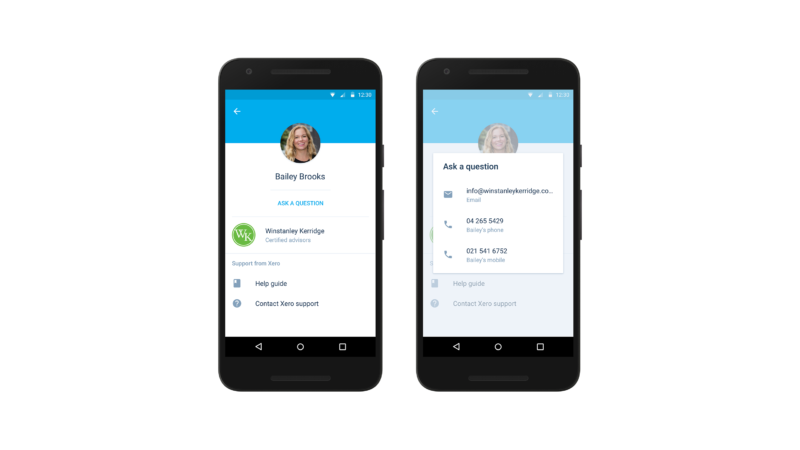 We’re bringing Xero for Android users and their certified advisors closer together, by introducing the ability to view and contact your personal advisor from the comfort of your mobile device. To view your advisor, head to the ‘support’ section of the app. You can get there from the overflow menu within your organisation. You’ll see your advisor’s details, including a profile picture and their practice details, along with the various ways you can reach out to them. You’ll also have access to our fantastic help guide material and will still be able to contact Xero if you and your advisor are stuck for ideas. Your advisors are there to help. They can provide you with the most efficient and personalised support for you and your business, and they are Xero experts. When was the last time you reached out and said hello? Whether you’re new to Xero, or a seasoned veteran who needs an extra pair of hands; it’s worth checking out Xero’s certified advisors. Xero certified advisors are your gateway to dedicated accountants, bookkeepers and general advisors who can help you run your businesses. They also have the added bonus of being Xero experts. If you don’t currently have an advisor, the Xero for Android app will help you browse through the certified advisor directory. You’ll find this, along with access to the Xero help guide and how to contact Xero support in the ‘support’ section in the app. Questions? Whether they are about this feature, or other Xero for Android topics – feel free to submit them in the comments section below! You can download Xero for Android from the Play Store. If you’ve enjoyed your experience, we’d love if you could leave us a rating! The post Don’t drink and reconcile. But if you do, call me. appeared first on Xero Blog. If you are a small business then there’s a good chance that you or your team spend time on the road. Business travel is a near essential part of growing a business. The problem for most businesses is that the internal processes that exists to support booking and managing travel are at best poor, and at worst non-existent. Based on our research here at Serko, the average business trip takes approximately 6 hours to book and manage. When you think about the time spent search for fares, the time spent getting approval and the general mucking around that goes on it’s perfectly plausible. And when you consider that somewhere between 25% and 40% of business trips change at least once before the traveler departs you can quickly see how painful and expensive business travel can be. Up to this point, small businesses have had little choice but to simply absorb / internalize the cost of travel management, whilst their larger competitors have been given the tools (by their travel agency partners) to allow them to automate and streamline their whole travel management process. This has given them what amounts to a competitive advantage over smaller businesses that need to travel to compete. Compounding the process issue further is the fact that large businesses are able to leverage their scale to negotiate better deals out of airlines and hotel chains etc. giving them an even greater advantage. There’s an addition Health and Safety dimension to business travel now, as recent legislation changes in Australia mean that company officers have a legal responsibility to ensure that their employees are safe when they are on the road. This is a big change and moves the onus firmly onto the business to provide clear support process for people whether they are in the office or on the road. The first step in achieving compliance is simply to know where everyone is and control what they can book. This is nearly impossible if everyone books their own travel directly on supplier sites and necessitates a fundamentally different approach to travel management. The other challenge with travel is washing up after a trip has been completed. If each trip has two taxis, two flights and one hotel, then every trip has at least five invoices associated with it that need to be reconciled back to a credit card at some point. If a typical small business does 30 trips a year then that’s 150 invoices that all need to be reconciled. This is time consuming and error prone… but doesn’t need to be. Back in February Xero partnered with us, as the leader in corporate travel and expense management to bring a new travel management service to market, and solves the problems outlined here this new integration launches next month. If you want to know more and get ahead of the curve then go to www.serko.travel and get registered. 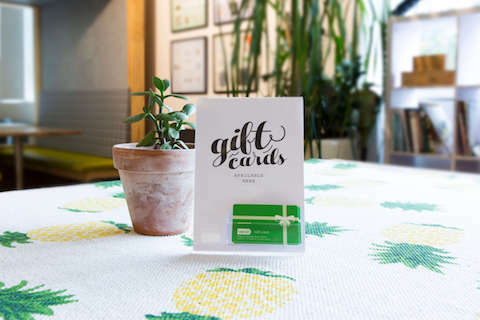 The post Serko makes booking business travel easy appeared first on Xero Blog.